Wood tin. 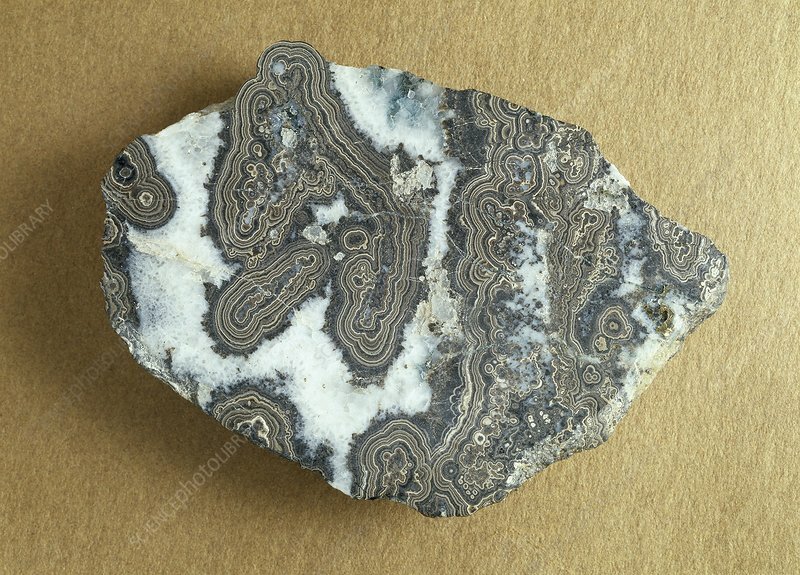 Dark-brown banded aggregates of cassiterite, a variety of cassiterite, intergrown with quartz (white) and tourmaline (black). Cassiterite is a tin oxide and important ore of tin. Polished specimen is from West Kitty mine, St. Agnes, Cornwall, UK.